BOGOTA, COLOMBIA (21/JUL/2013.) - The International Committee of the Red Cross (ICRC) today announced that initiated contacts with the Revolutionary Armed Forces of Colombia (FARC), for the release of U.S. citizen Sutay Kevin Scott, who was captured on June 20 in a jungle area in the south. "We contacted the Colombian government, the U.S. Embassy, the former senator Piedad Cordoba and the FARC, to announce the willingness to facilitate this release," said ICRC spokesman in Colombia, Edgar Alfonso. This Saturday, the U.S. ambassador in Colombia, Michael McKenley, said the FARC captured Sutay, who is a retired Marine of his country and was visiting Guaviare department. 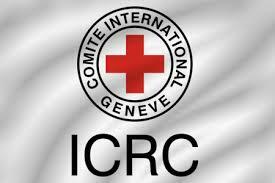 "The ICRC for its commitment as a neutral intermediary can not give many details about the business," said Alonso. U.S. Ambassador hopes that the rebel group will soon release the citizen of his country, as announced in a statement. For its part, the guerrillas of the National Liberation Army (ELN) kidnapped a Canadian citizen, who is being held since 18 of January in a mining camp located north of the country. When using the materials reference to vigiljournal.com is obligatory.